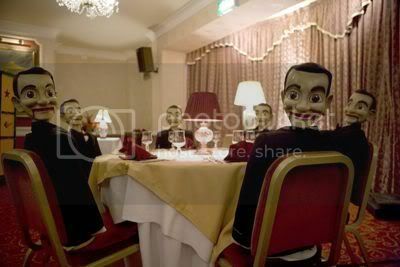 5.2 million watched Doctor Who: The God Complex on Saturday according to unofficial overnight figures. The the programme was down on last week and had an audience share of 23.8%. It was the third highest rated show of the day. Doctor Who was just behind All Star Family Fortunes on ITV1, which achieved an average of 5.3 million viewers. The celebrity quiz show was helped by the build up to The X Factor which boosted its audience in the last half hour to bring the average just ahead of Doctor Who, although the Time Lord will almost certainly gain back the lead when final figures are released next week. Doctor Who's lead in Celebrity MasterChef had an average of 2.7 million viewers and the winner on the night was once more The X Factor, which had 10.8 million watching. With one day to come Doctor Who is the 23rd most watched programme of the week. On BBC Three, Doctor Who Confidential had an overnight audience of 0.52 million. Official figures will be released next week.